The winter baseball meetings have come and gone and the Kansas City Royals are still without an everyday corner outfielder in both right and left fields. Alex Gordon remains in limbo without a team. That could change anytime. The only way he stays in KC is by taking a home town discount. I’m going to trust Dayton Moore to come up with a suitable replacement for Gordon in left but I don’t like what I’m hearing from the Royals GM regarding right field. Moore is saying he is okay with Jarrod Dyson being an everyday outfielder. That’s scary! Don’t you want and need power at all four corner positions? Hosmer provides it at 1st base. Moose hit 22 home runs playing 3rd. Dyson supplied a grand total of 2 HRS and 18 RBIs in 90 games. Right field continues to be an issue for the Royals. Rios wasn’t the answer this year. Aoki wasn’t the answer in 2014 and neither was David Lough or Justin Maxwell the year before that. The right field position is a problem Moore has been unable to fix. Money isn’t the issue. The Royals drew 2.7 million this year. That’s the highest mark since 1989. It ranks 10th in baseball. They broke all the budget projections by playing 16 games in post season. The Royals averaged 33,500 during the regular season. 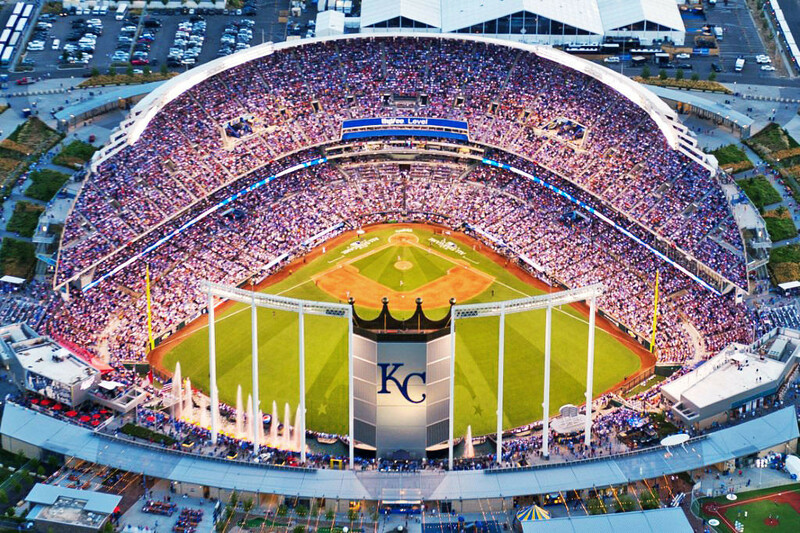 They were drawing 88% of capacity at Kauffman Stadium. Those numbers are certain to climb in 2016 and so is the cost to watch the team in person. Brace yourself! In 2014, the Royals raised ticket prices by 24% after their first winning season in 20 years. They followed up with a 20% hike in ticket prices in 2015. According to Team Marketing Fan Index, for the second straight season, the Royals had the biggest percentage increase in baseball. Meanwhile, the payroll has more than tripled in the last five years to $113 million dollars this last season. Winning the World Series made this an extremely profitable year despite a franchise record payroll. The Royals get very little help from their local TV partner, Fox Sports Kansas City. The team signed a bad deal which still has 4 years remaining at $20 million a year. By comparison, the Arizona Diamondbacks just inked a local TV contract for $1.5 billion over 20 years. That breaks down to $75 million a year. Zack Greinke will get a big chunk of it. Keep in mind; revenues in baseball have grown 102% in the last 15 years. That’s about the time David Glass bought the Royals. Remember, he purchased the team for $97 million, which was a steal for a franchise now worth more than 5 times what he paid. The Royals TV ratings have more than doubled, as the team was a runaway winner of its first division title in 30 years. The Royals can only get better for at least two more years before Cain, Hosmer, Escobar and Moose become free agents. Right now, this team is a money-making and game winning machine poised for a third consecutive World Series appearance.